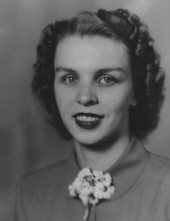 Dorotha Lee Hiner Hull-Bradley (Dot), age 92, passed away peacefully Monday morning, November 19th at Shenandoah Nursing & Rehab in Fishersville. She was born May 25, 1926 in Highland County, a daughter of Dennis M. Hiner and Mamie Rexrode Hiner. She was a former employee of DuPont in Waynesboro and a member of Central United Methodist Church where she had participated in the Wesley Fellowship Class and the Rebekah Circle. She was preceded in death by both her first husband of 46 years, Richard Hull, and her second husband of 18 years, Robert C. Bradley, as well as her parents, one son, Douglas A. Hull, and three brothers, Ralph Hiner, William Wayne Hiner, and Carl Victor Hiner. She is survived by two sons, Richard David Hull and his wife Joyce of Waynesboro and Randal D. Hull and his wife Melissa of Greer, SC; a step-son, Stephen C. Bradley of Staunton; six grandsons, Jonathan, Aaron, Adam, Nathan, Mark, and Jeremy; three granddaughters, Rebekah, Michelle, and Mary and one great granddaughter, Hailey. A graveside service will be held at Thornrose Cemetery at 10:00 a.m. Saturday, November 24, 2018 followed by a memorial service at Central United Methodist Church at 11:00 a.m.
Memorial contributions may be made to the Memorial Fund of Central United Methodist Church or the charity of your choice. To send flowers or a remembrance gift to the family of Dorotha Lee (Hiner) Hull-Bradley, please visit our Tribute Store. "Email Address" would like to share the life celebration of Dorotha Lee (Hiner) Hull-Bradley. Click on the "link" to go to share a favorite memory or leave a condolence message for the family.